Halitosis, or chronic bad breath, is a persistent condition in which the odors of the breath are consistently foul in fragrance. It is a common dental problem that many Americans cope with every day. When compared to bad breath, Halitosis is a chronic problem that consistently reoccurs and cannot be quickly fixed with the use of mouthwash, mints, or gum. Persistent bad breath may be a sign of more serious dental or medical issues and should be brought up at your next visit to your dentist. Lodged Food Particles: Food particles can become lodged between teeth aiding in bacterial growth and potentially leading to bad breath. 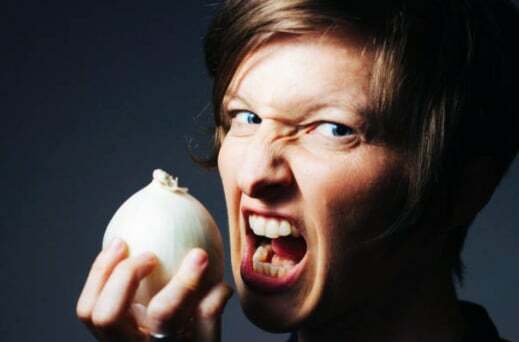 Most bad breath caused by food particles is not long lasting and is not considered to be Halitosis, but certain foods such as Garlic, onions, fish, and certain spices can leave a potent smelling bad breath in your mouth for short periods of time. Dental Issues/Bad Dental Hygiene: Poor care for your teeth can cause cavities and gum disease which give Halitosis causing bacteria more places to hide in your mouth. Plaque that is attached to the surfaces of your teeth and tongue can cause all sorts of foul smells in your mouth. Proper, daily maintenance of teeth and gums can help prevent chronic bad breath from ever taking hold. Dry Mouth: Saliva works miracles when it comes to preventing bad breath with how it clears away food particles, helps break down certain foods, and helps to prevent the formation of cavities and gum disease. Those who suffer from Xerostomia, or dry mouth syndrome, are at higher risk for chronic bad breath because of the lack of saliva present in the mouth. “Morning breath” may occur naturally when the mouth is dried out during sleep or from breathing from the mouth. Tobacco Products: Smoking or chewing tobacco products directly cause bad breath with the chemicals that they leave behind in your mouth. The use of tobacco products can also indirectly cause Halitosis by aiding in the onset of periodontal disease, dry mouth, and oral cancers. The chemicals in tobacco will give you bad breath, it’s just a matter of when. Infections: Infections in the mouth, nose, and throat can lead to bad breath. Infections can cause excess amount of postnasal drip or mucus buildup which can lead to bad breath and Halitosis. Allergies are another common cause of postnasal drip that can lead to bad breath in many individuals. Medical Issues: If your dental hygiene is in good order, but you still can’t seem to rid yourself of bad breath, then a more serious underlying issue could be causing your bad breath. Certain metabolic disorders, Gastroesophageal Reflux Disease (GERD), diabetes, tonsil stones, and kidney & liver diseases can all cause bad breath. If you believe a medical issue is the cause of your bad breath, then contact your doctor for help. Medications: Diuretics and antihistamines have a history of causing dry mouth which can lead to bad breath or halitosis. Other medications are broken down inside the body and release chemicals that can make your breath smell bad. Other Causes: Alcoholism and ingesting large amounts of supplemental vitamins can both cause Halitosis. The best line of defense against Halitosis is a plan of prevention through the daily upkeep of your oral hygiene routine. This should involve brushing your teeth at least twice a day for two minutes using a fluoride based toothpaste and a daily flossing session. Dehydration: Staying hydrated goes a long way in terms of preventing bad breath with the proper flow of saliva. 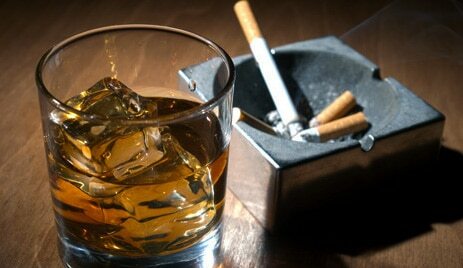 Alcohol or Tobacco Consumption: Consuming tobacco and alcohol products can give you dry mouth and lead to bad breath. Your breath can give off a bad odor for up to 10 hours after consuming these products so it is best to avoid their consumption altogether if you are worried about bad breath. Breath Mints & Sugary Gum: Even though they help to fight against bad breath in the short term, gum and breath mint products are typically filled to the brim with sugar. These products will actually cause more damage over time by covering your teeth with sugar which can cause bad breath and Halitosis. If you’re suffering from chronic bad breath known as Halitosis, then get professional help from an experienced dentist today. At Carson & Carson, DDS, we have helped patients freshen their breath since 1970 and have over 45 years of experience treating the underlying causes of Halitosis with our affordable dental services. We offices located in both Oxnard and Camarillo, California and have helped thousands of patients restore confidence in their smile with fresh smelling breath over the years. Give us a call today (805) 983-0717 or schedule an appointment online using our contact button below.